I have not followed the Fountain war closely. 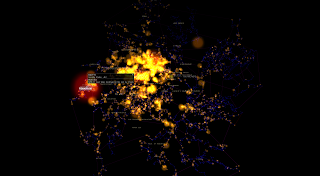 I've mostly eyed the Sov map with a distracted, distant air of interest. The battle that went down in 6VDT-H today fascinated me not for any personal reason for space ownership or alliance support but for the fact that I watched local count up to over four thousand people in the system. I watched Mad Ani's stream tick over eight thousand viewers. Over on the ATXI stream there were ten thousand viewers and a few hundred players engaged in a PvP tournament sponsored by CCP. 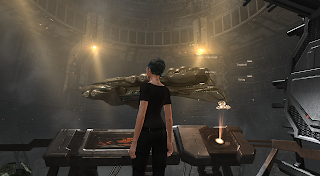 Many people who skip through twitch channels and stop by Eve ask what is going on. Many games involve lots of movements and graphics. 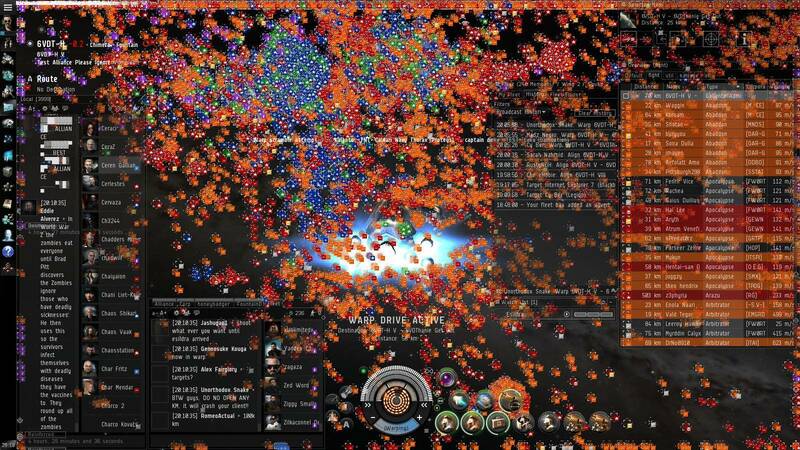 Yet, thousands of Eve players are staring at a ball of orange edged in red with random circles. And they are enthralled. I am enthralled. For many, many different reasons but the fascination is there. It is an awful lot of people engaging in an activity all at once for a goal. The other night we were discussing how we fight. How scrolled out we are in battle. If we use tactical overlays or night. For all of us, a battle is not composed of our ship but it is composed of a series of moving, colored squares. While Eve's graphics are amazing we often do not get to view them in space. In a way, they would be in the way. The represented colors and simplicity of the icons allows for faster processing of a situation. While images of entire fleets moving at once are awe inspiring they are not sensible when it comes to spaceships battling other spaceships. Eve is a three dimensional game in a fluid environment where technical distances trump visual each time. It is a RTS in a third person view where pictures create two dimensional images. For small gangs it can be bright and shiny. Yet, we're really looking at the over view and at the targeted icons. You are listening to the fleet commander and focusing on your task. That may be pressing F1 to fire your guns or it may be focusing on a task such as locking down the logistics pilot or being the logistics pilot yourself while not being tackled. The visual beauty of the game becomes secondary to the task processing involved. Representative icons are important at that time. Just as your team may have a particular colored bar over their heads or your side wears a color coordinated outfit in a fight. The orchestra of colored squares is important and when one understands what the squares are it becomes fascinating if one is interested. And the fascination is not in the representation itself but in what the representation represents. 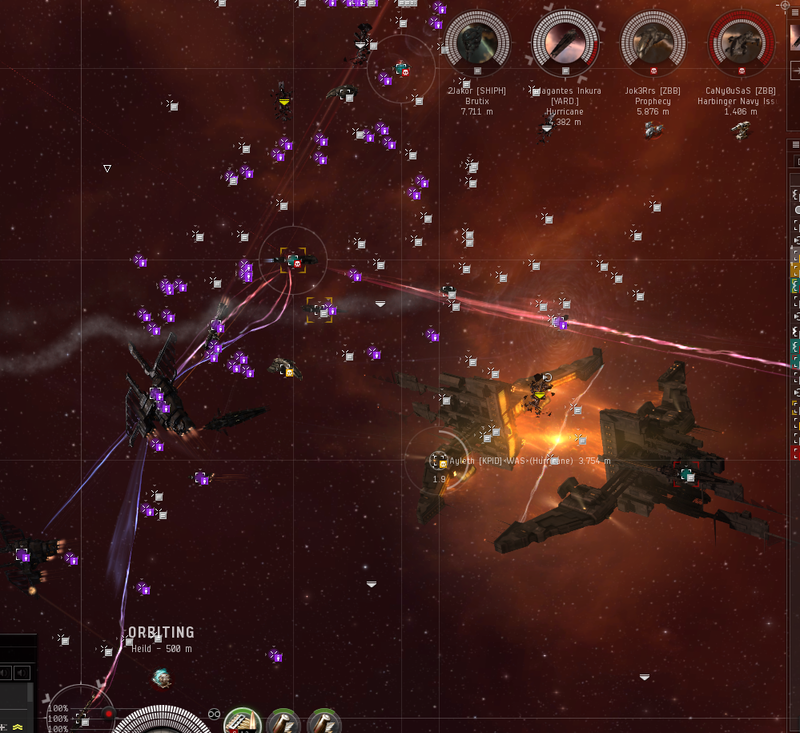 The battle of 6VDT-H to me is a symbol of the scale of Eve. I don't actually want to participate in that scale on a personal level. It is not the game play that keeps me in game. I enjoy that it is there for people. It is the game play that keeps thousands of others in the game. I enjoy watching it as a spectator. For me, watching the push of thousands of players for their goal is one of the deepest draws of Eve. It is why Eve is so fascinating to read about for non-Eve players. This particular image, shared across the game, moves into the orange ball above. The detail is closer and finer. Each square of color is an individual ship. While blob is a bad word and Sov null fights are a slow event, I cannot help but find a fascinating view of the game. It is also representative of the different things one can get in the game. Massive battles or close in views. Huge alliances or individuals on a task to record the activities of other groups. They are all viable things to do. Fun and interest are such common words and understood concepts yet hard to explain and express. The fight will go on for hours and hours and many involved will be passionate in their participation. Some will burn out from the experience. Others will be enthralled by it and seek to participate. Others will find it an incredible turn off that will burn into their concept of what is and is not fun in Eve forever. I appreciate the streamers for this. I am not often interested in regular 'every day in Eve' streams but I find the streams for large events interesting. I feel bad for the demands made in the stream chat. There are also the people who pipe up to say that it looks boring and stupid and like a terrible game. For that, the AT stream is a bit more exciting. The camera man, not being any of the pilots, can ride along into the face of the battle and the visuals can be focused on. It is a view into another world shared inside of a single universe. Thanks for letting me peek. I was watching the AT stream and found that I spent more time listening to the commentators describe what was happening and watching the bars going down then looking at the actual footage. 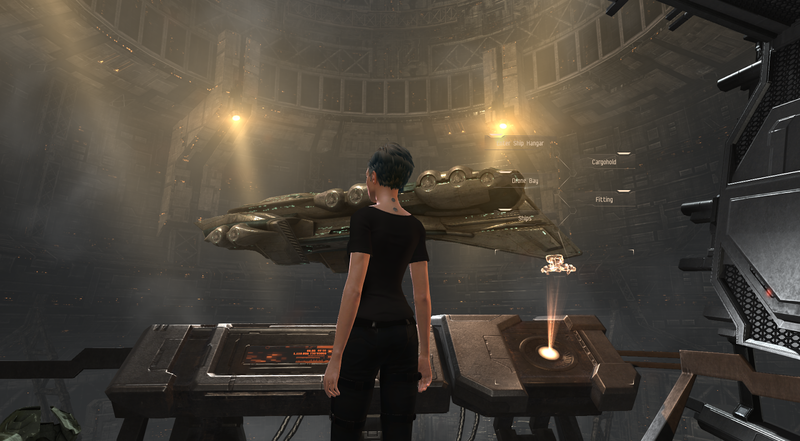 EVE is a strange game, I agree with you that it's a beautiful universe but it's one that i almost ignore when I'm actually pvping or watching anything other then solo streaming.